The home remains the primary assets for the majority of people and the property market - particularly in major cities - has generally been kind for those who were in the market over the past decade or so. There is no disputing that owning your own home is a foundational step on the pathway to providing for a comfortable retirement. But the problem is perfectly captured for older Australians with the expression "asset rich but income poor". The ASIC review of the reverse mortgage market came after government changes in 2012 to strengthen consumer protections, including the provision of a no negative equity guarantee - that is the borrower cannot be required to repay more than the value of the secured property at the end of the loan. 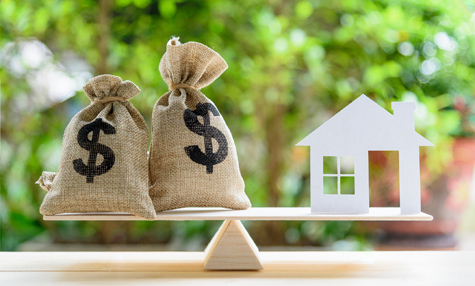 The ASIC report is interesting in that it found reverse mortgages were satisfying the immediate or short-term needs of borrowers, as did the case study above, and often provided for an improved standard of living while letting people "age in place". One of the major warnings ASIC has for borrowers is the focus on short-term objectives with "limited or no attention" being paid to their possible future needs. The review of loan files ASIC did as part of the report found "approximately 92 per cent of the loan files we reviewed did not record the possible future needs of the borrower in sufficient detail and contained no evidence that the broker or lender had discussed how a loan may affect the borrower's ability to afford future needs". GENERAL ADVICE WARNING: Any advice in this site is of a general nature only and has not been tailored to your personal circumstances. Please seek personal advice prior to acting on this information. © 2019 Black Financial Services Pty Ltd. All rights reserved.